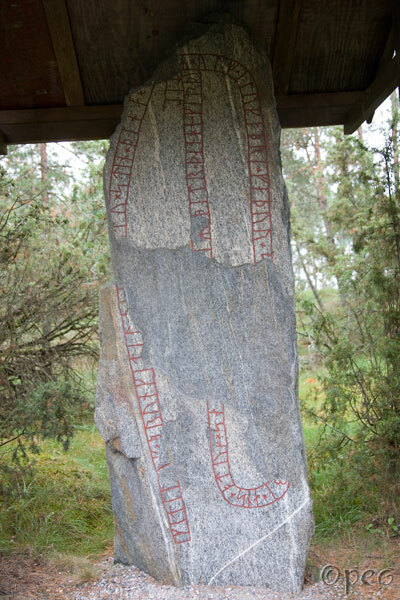 Ketill and Brúnketill, they raised this stone in memory of Ulfr of Laughamarr(? ), their father ... May God and God's mother help his spirit and soul better than he deserved. Laughamarr must be the old name of Lövhamra.